The Russian Horn Orchestra "LIVE"
In August 2006 Sergey Polyanichko, supported by the musicians of St. Petersburg, formed "The Russian Horn Orchestra of Russia". 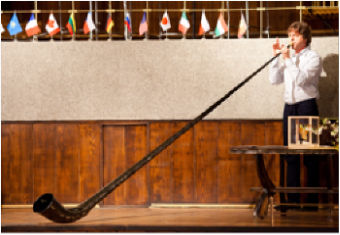 The Orchestra dedicatedly and successfully revives the traditions of horn music performance, the music that has never had its counterpart in the world. Today the Orchestra possesses 74 instruments with the range of 4 octaves, which are unique due to their shape and sound. All instruments were handmade by the skilled master and musician Vladimir Goloveshko. Methods of hard firing and brass alloy – were his "secrets sealed with seven seals". The sound of each horn depends on the thickness and shape of each instrument. Improved mouthpieces made it possible to produce very soft pure sounds and vary the pitch of A-tuning in the music as well as their experimental challenges. 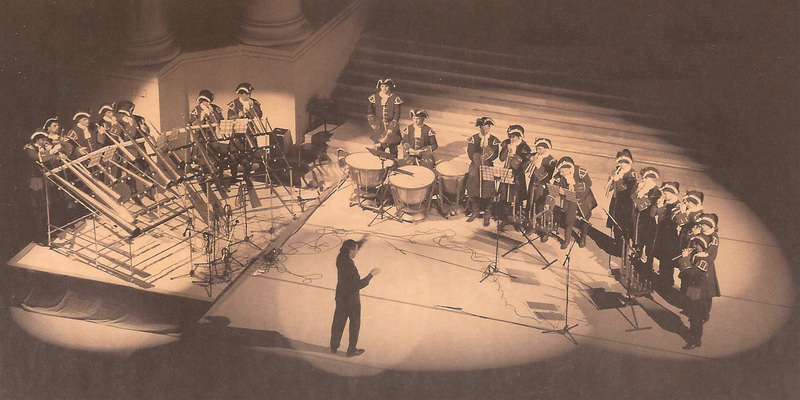 The Horn Orchestra of Russia, has in a short period of time, earned deep respect among professional musicians, historians, art and musical critics as well as from its audience. 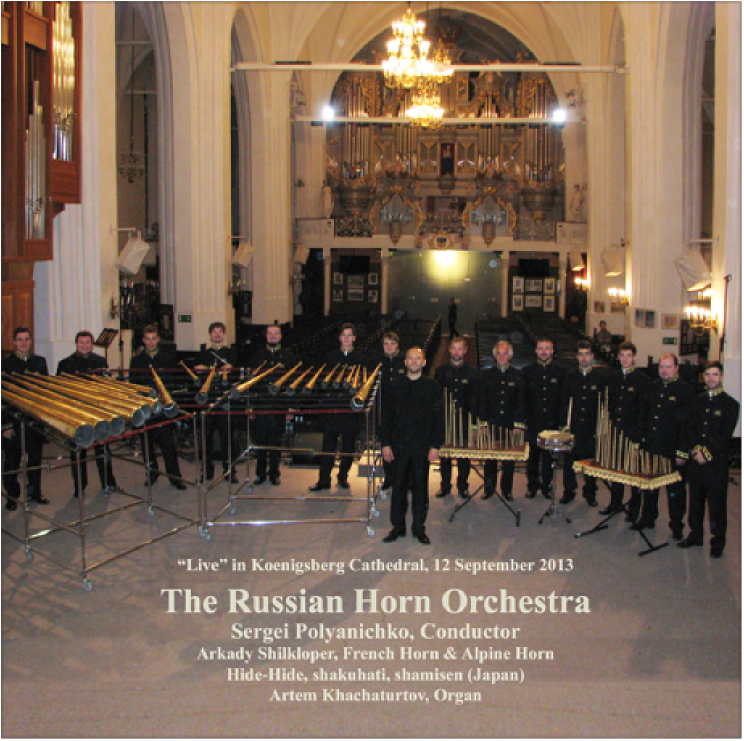 The Orchestra is supported by Artemy Skripkin, the protoiereus of the St. Peter and St. Paul's Church at the Herzen State Pedagogical University, who also consecrated the instruments and blessed the musicians for the revival of Horn Music. In the seven years The Russian Horn Orchestra has been active it has played over 300 concerts, taken part in a number of festivals in Russia and abroad, and recorded three albums. 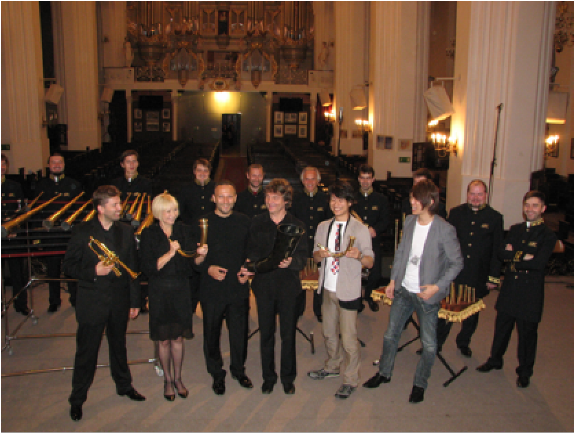 With support from sponsors, the KronDe musical workshops was set up, specializing in the manufacture and repair of hunting horns and their concert variants. The Orchestra took part in recording the soundtrack to Alexander Sokurov's film version of Faust, which was awarded a Golden Lion at the 68th Venice Film Festival. In a collective effort, two of the four old surviving orchestra scores have been restored: the melodrama Orpheus by Yevstignei Fomin and Requiem by Osip Kozlovsky, which had not been played for over 200 years. Restoring antique sheet music is a signature of The Russian Horn Orchestra and Sergei Polyanichkov himself as its creative director. The resurrection of the "living pipe organ", as the horn orchestra has been dubbed by music professional, gave many works by 18th and 19th century Russian composers a chance to be heard again in their original splendor. The orchestra's activities are widely covered by the media. Sergei Polyanichko is one of St. Petersburg's prominent young conductors. He is renown upon the banks of the Neva gaining a new substantial driving force following the foundation of The Russian Horn Orchestra, a one-of-a-kind band reviving the tradition of Russian Horn Music. Sergei Polyanichko's artistic career has been twofold, as a performing musician and subsequently conductor. From the age of 11, he studied at the special school for gifted children, run by the St. Petersburg State Conservatory. He graduated from Professor V.M. Buyanosky's French Horn class, and vent on to receive a professional education at the St Petersburg StateConservatory, as student of professor A.E.Glukhov. Arkady Shilklober - a Virtuoso multi-instrumentalist who enjoys a wide populatity as an academic as well as a jazz musician. His repertoire contains exclusive compositions and original arrangements, that are usually performed only by himself. This unique musician gives around 100 recitals a year. Russian critics have voted him Musician of the year several times. 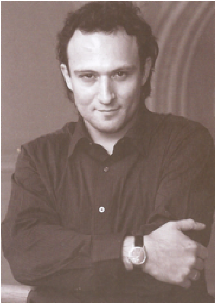 Arkady Shilklober's concerts are held at the world's most prestgious clubs and concert venues. He is a prize winner of numerous competitions and the founder of a few unique jazz ensembles and he wins the hearts of the audience at every of his appearances. 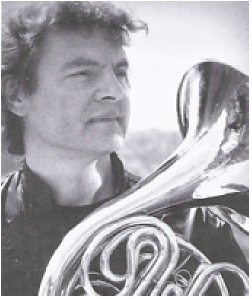 "SHILKLOBER is one of the most creative horn players in the world and without a shadow of doubt is one of the greatest performers of wind instruments that ever lived. He is called a jazz musician, but his manner of playing transcends all genres and national styles. He demonstrate unique virtuosity on at least three instruments � horn, flugelhorn and alphorn. Anyone who has experienced the cosmic bliss of hearing him play will never forget his skill and artistery. I could travel for miles to hear this musician". Jeffrey Agreel Professor of the Horn School of Music. BAM 2055 � & ℗ Bel Air Music - 10/2013 All Rights Reserved.